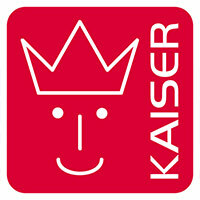 Für cuddly warmth in the baby seat or the baby bath the Fleece footmuff Hoody - Light grey Grey Melange from Kaiser. It opens completely from both sides. The upper part can be removed. This way you can easily put your baby in and out again. 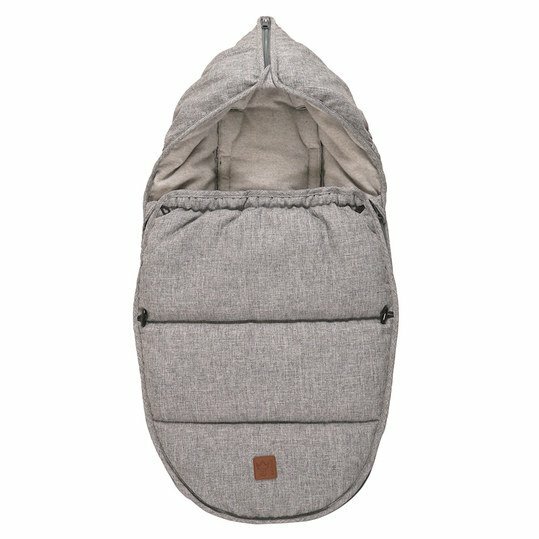 The zip zippers are covered with fabric tabs so they won't stall your baby. 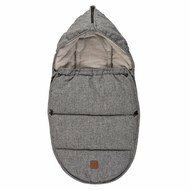 The footmuff is suitable from the moment your baby is born and keeps you warm in both the infant carrier and the baby bath. Thanks to the large belt slits on the back, you can fasten your offspring safely in the seat. 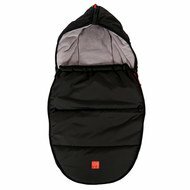 The head section of the footmuff can be zipped together to form a practical hood. That way, your baby's köpfchen is protected from draughts. 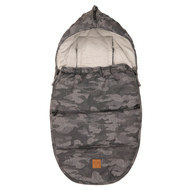 The soft fleece fabric inside the footmuff is cosy and warm and the outer fabric is wind- and water-repellent. So your little one is comfortably on the move in all weathers.